If you are looking for an affordable HD LED TV with an impressive screen size and an overall decent picture quality then the EcoStar 32U559 is a great choice to consider. This LED TV from EcoStar provides excellent value for money and comes equipped with features including HDMI and USB connectivity, RealColor Engine, Motion Engine, and Sound Max Engine. The color reproduction is accurate and the contrast is impressive too with a clear distinction between blacks and whites. The only drawback is the lack of a Full HD resolution but if you are looking to watch cable TV or HD movies on your LED TV, then this might be a suitable choice for you. 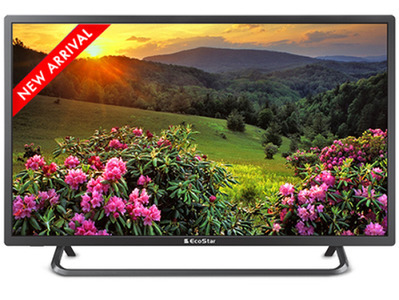 The Lowest price of EcoStar 32 Inch 32U559 LED TV in Pakistan is Rs. 24,599, and estimated average price is Rs. 24,599. The prices are collected from the best online stores in Pakistan like Mega.pk - updated Apr 2019.